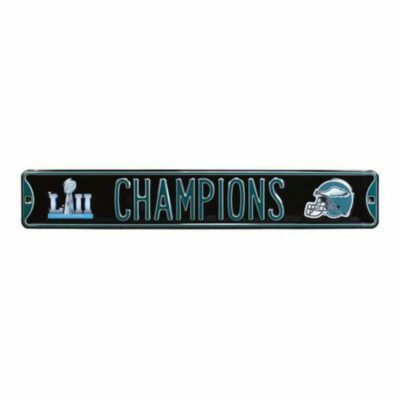 Eagles Super Bowl LII CHAMPIONS Sign | Buy online or pickup in store. Officially-licensed street sign. Ready to hang. Display your Philadelphia pride with this authentic Eagles Super Bowl VII CHAMPIONS street sign. 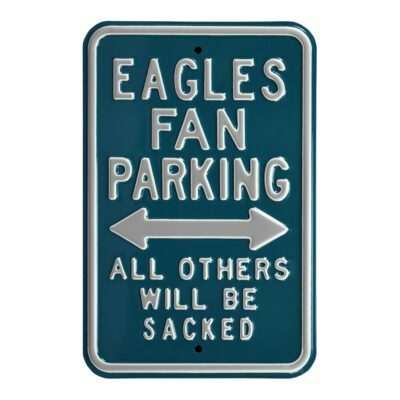 With a true Philly look, this officially-licensed sign is made with heavy-duty steel and automotive-grade enamel. 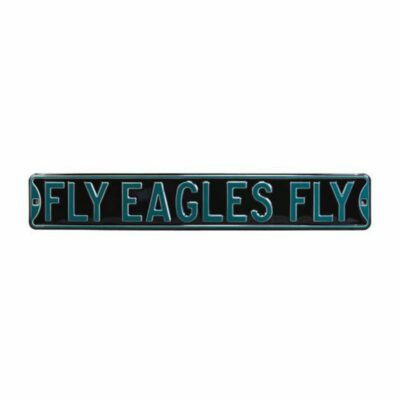 Built tough — just like your Philadelphia Eagles.